Want to add a shortcut to Donald Kerr website on your mobile device? Follow the 4 quick steps to create a custom Donald Kerr 'app'! On behalf of the University of Michigan School of Dentistry and the Continuing Education Planning Committee, it is our pleasure to invite you to the 2nd Donald Kerr Symposium. Together, with internationally renowned experts in the field of immunology, microbiology, and pathology, we will explore the rapidly emerging and transformative field of “The Microbiome in Oral Health and Disease”. This symposium will be of interest to healthcare providers, and researchers. Basic science and clinical aspect of the Microbiome will be discussed by internationally renowned clinician-scientists from the University of Michigan, Stanford University, University of Athens and the University of Washington. The symposium begins on Thursday afternoon, June 13, with a poster presentation and reception and a CE course entitled: Simple Biopsy Techniques for Daily Practice. This is a hand-on course when participants will be instructed in to a variety of surgical oral biopsy techniques. A full day of ground-breaking presentations is planned for Friday, June 14. The symposium carries continuing education credits for the School of Dentistry. Early registration ends May 13. The symposium honors the groundbreaking research and leadership of Donald Kerr, who was a member of the School of Dentistry and Medical School faculties for 40 years before retiring in 1977. Dr. Kerr was widely recognized for his work in periodontology and oral pathology, along with the development of special dental programs for oral cancer patients. He had the distinction of being president of the American Academy of Periodontology and president and co-founder of the American Academy of Oral and Maxillofacial Pathology. Every two years, a variety of topics is explored as part of the Kerr Symposium at the University of Michigan School of Dentistry. Dr. Snyder is the Stanford W. Ascherman professor and chair in the Department of Genetics at Stanford University School of Medicine. He received his Ph.D. training at the California Institute of Technology and carried out postdoctoral training at Stanford University. He is a leader in the field of functional genomics and proteomics, and one of the major participants of the ENCODE project. His laboratory study was the first to perform a large-scale functional genomics project in any organism, and has developed many technologies in genomics and proteomics. These technologies have been used for characterizing genomes, proteomes and regulatory networks. Dr. Nuñez is the Paul de Kruif Endowed Professor, Inflammation & Immunology, in the Department of Pathology at the University of Michigan. He earned his M.D. degree from the University of Seville, Spain, in 1977. He received postdoctoral training in Immunology at the University of Texas Southwestern Medical Center, Dallas, and residency training in Anatomical Pathology at Washington University in St Louis. His laboratory identified NOD1 and NOD2, the first members of the Nod-like receptor (NLR) family, a class of pattern-recognition receptors that mediate cytosolic sensing of microbial organisms. Nuñez and colleagues showed that genetic variation in a NLR family member, NOD2, is strongly associated with susceptibility to Crohn's disease. Dr. S. Esra Sahingur is a board certified periodontist and professor in the Department of Periodontics and a senior member of Philips Institute for Oral Health Research in the School of Dentistry at Virginia Commonwealth University (VCU) since 2007. She is also affiliated with the Department of Microbiology and Immunology and Center for Clinical and Translational Research in the School of Medicine at VCU. Dr. Sahingur obtained her DDS from Istanbul University and her Master’s, PhD and clinical residency from State University of New York at Buffalo. Dr. Sahingur’s research focuses on studying the role of immune and inflammatory pathways and host-pathogen interactions in periodontal disease pathogenesis, genetic and epigenetic susceptibility to periodontitis and identification of molecular markers that link oral and systemic diseases. Sahingur and her team initiated the studies that revealed the involvement of nucleic acid sensing and ubiquitination in periodontal disease pathogenesis and more recently the link between oral, gut, and liver axis. Dr. Foxman is the Hunein F. and Hilda Maassab Professor of Epidemiology, Director of the Center for Molecular and Clinical Epidemiology of Infectious Diseases (MAC-EPID), and Director of the Interdisciplinary Training Program in Infectious Diseases (IPID). Dr. Foxman received her Bachelor's of Science in Conservation of Natural Resources from the University of California, Berkeley, and MSPH and PhD in Epidemiology from the University of California, Los Angeles School of Public Health. She has been at Michigan since 1984. Dr. Foxman studies the transmission, pathogenesis, ecology and evolution of infectious agents, with an emphasis on transmission. She researches the transmission of antibiotic resistance among bacteria, of bacteria among individuals, and the population transmission system using molecular biologic, epidemiologic, and ecologic approaches. Dr. Rickard is an Associate Professor, Department of Epidemiology, University of Michigan, Michigan, USA. Dr. Darveau is professor and chair in the Department of Periodontics at the University of Washington Dental School in Seattle. He received his Ph.D. in bacteriology from Washington State University and did his postdoctoral research in the Department of Microbiology at the University of British Columbia studying structure/function relationships in the outer membrane of Pseudomonas aeruginosa. Dr. Darveau has more than 100 publications, holds several patents, and has served on numerous National Institutes of Health (NIH) study sections as well as scientific advisory boards for dental health–related companies. Dr. Darveau was awarded the International Association of Dental Researchers 2007 Basic Research in Periodontal Disease Award. Dr. Y. Leo Lei is an Assistant Professor of Dentistry and of Otolaryngology – Head and Neck Surgery, Department of Periodontics and Oral Medicine, Department of Otolaryngology – Head and Neck Surgery, Rogel Cancer Center, the University of Michigan – Ann Arbor. He is a translational immunologist with clinical certification by the American Board of Oral and Maxillofacial Pathology. His translational immunology research group focuses on the identification of novel mechanisms regulating the pattern recognition receptors signaling and the development of robust immune engineering approaches to fine-tune host response. He is an attending pathologist in the University of Michigan Oral Pathology Biopsy Service. Dr. Lei is on the editorial board of Head and Neck Pathology and Oral Surgery Oral Medicine Oral Pathology Oral Radiology. He is among the most highly cited scholars in the field of Oral and Maxillofacial Pathology, with studies published in well-respected journals, such as Immunity, Clinical Cancer Research, Oncogene, Cell Host and Microbe, Nature Immunology and Cancer Research. He is committed to trainees’ active learning, and his graduate student and postdoctoral fellow have received competitive national NRSA research awards. His oral immunology research is also recognized by many national and international awards, including the IADR Joseph Lister Award First Place, the USCAP Leon Barnes Award, and the NIH Dentist-Scientist Pathway to Independence Award. He has been actively serving the AADR/IADR and other professional societies in various committee roles. Dr. Eleni (Elina) Gagari obtained her DDS from National and Kapodistrian University School of Dentistry and her DMD from Tufts University School of Dental Medicine (faculty development program). She is licensed to practice dentistry in both United States and Greece. Dr. Gagari completed a certificate in oral and maxillofacial pathology/Doctor of Medical Sciences program at Harvard School of Dental Medicine. She is a Diplomate of the American Board of Oral and Maxillofacial Pathology and a Fellow of the American Academy of Oral and Maxillofacial Pathology. While in the US she pursued an academic holding the positions of instructor, assistant professor and associate professor at Harvard School of Dental Medicine, NYUCD and TUSDM respectively. During her career in the US she was an elected member of the Executive Council of AAOMP and served in the Nomination, Constitution and By-Laws, Public Relations and Fellowship committees. Dr. Gagari was an active member of the AADR/IADR and was the recipient of a K12 faculty development grant from NIH. While at TUSDM, she served as Director of the Oral Pathology Biopsy Service. 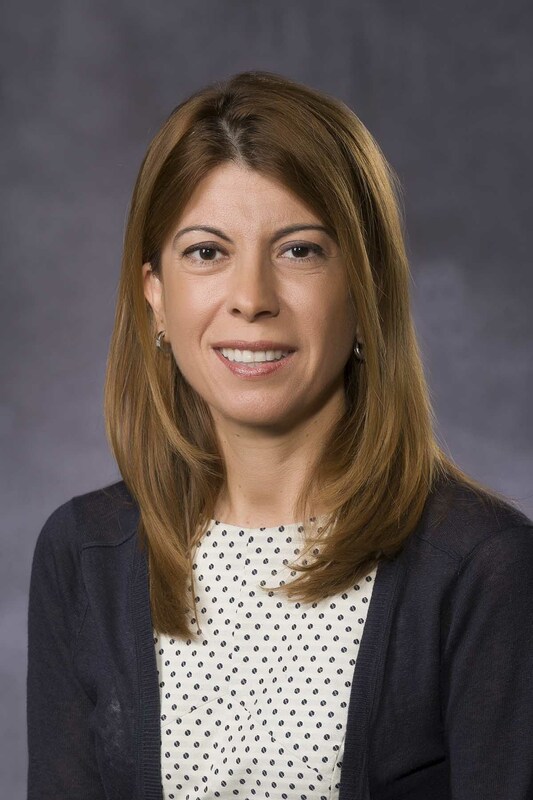 In 2008 Dr. Gagari moved to Greece where she took over one of the world’s largest oral mucosal disease clinical services in the Department of Dermatology in NKUA School of Medicine. In 2008 the clinic was receiving 2000 patient/visits per year. In 2018, the oral mucosal disease center received 6800 patient visits and is considered the foremost patient referral center for oral mucosal disease in Greece. A particular focus is precancerous lesions of the oral cavity where Dr. Gagari has an active collaboration with Univ of Michigan. Dr. Gagari is a sought-after lecturer and is considered a highly skilled educator and mentor in her chosen field. A variety of oral mucosal lesions from reactive processes to squamous cell carcinoma, requires definitive histopathological evaluation for proper patient management. General practitioners can incorporate the biopsy technique into their daily practice in order to provide safe, timely and appropriate patient care. The objective of this course is to provide general practitioners with the knowledge and skills to perform simple oral mucosal biopsies in their office. After an overview emphasizing site selection and procedural pitfalls, participants will practice biopsy techniques on porcine tissues. At the end of the course, general practitioners will be better equipped to incorporate the biopsy procedure in their daily practice. Please note enrollment is limited to 20 participants. Dr. Christos A. Skouteris is a graduate of the University of Athens School of Dentistry. He completed a three-year training program in Oral Pathology at the same University that led to a PhD degree and a six-year residency in Oral and Maxillofacial Surgery at the University of Pittsburgh School of Medicine - Presbyterian University Hospital in the USA. He served as Teaching Fellow at the University of Pittsburgh School of Dental Medicine, as Visiting Assistant Professor with the Department of Plastic, Reconstructive, and Maxillofacial Surgery of the University of Pittsburgh School of Medicine, as Visiting Professor, Department of Oral and Maxillofacial Surgery, School of Dentistry, Medical College of Virginia, Virginia Commonwealth University, as Assistant Professor of Oral and Maxillofacial Surgery at the University of Crete School of Medicine, and as Associate Professor of Oral and Maxillofacial Surgery at the University of Athens School of Dentistry. Dr. Skouteris is currently Clinical Assistant Professor at the Department of Surgery, Section of Oral and Maxillofacial Surgery, Michigan Medicine. Dr. Skouteris practices the full scope of Oral and Maxillofacial surgery, with special interest in oncologic- head and neck surgery, trauma, maxillofacial reconstruction, TMJ surgery, salivary gland surgery and repair of trigeminal nerve injuries. 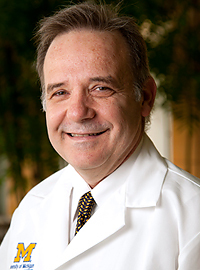 Dr. Skouteris is the author of books, book chapters and many articles in peer-reviewed journals. 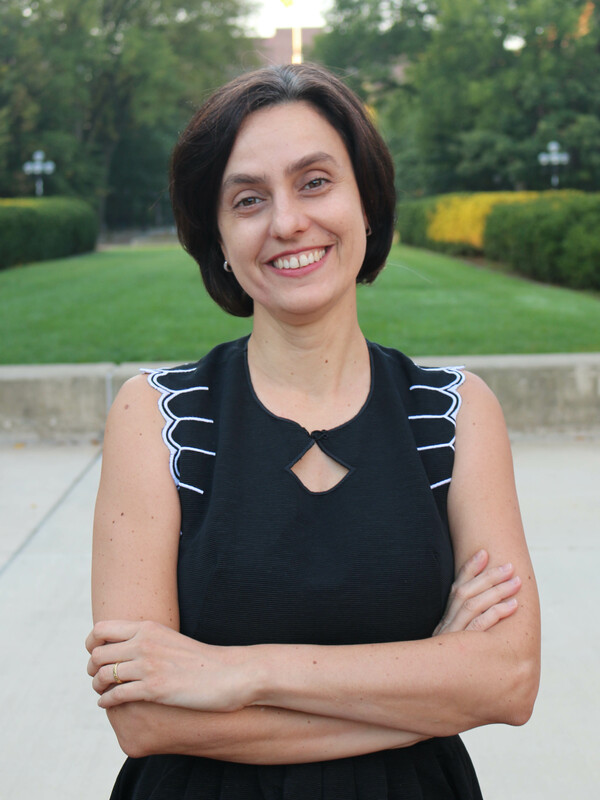 Dr. Theodora Danciu is a Clinical Associate Professor at the University of Michigan School of Dentistry and a consultant for the VA Ann Arbor Healthcare System. She graduated with a BA in Mathematics from the University of California, Berkeley after which she completed her DMD at Harvard University. She continued her training at Harvard where she obtained a Doctor of Medical Sciences degree as well as a certificate in Oral and Maxillofacial Pathology. After two years as Instructor at Harvard, she joined the University of Michigan in 2007. Dr. Danciu is the recipient of numerous teaching awards both at Harvard and University of Michigan and research awards including the National Research Service Award and the National Institute of Health Transition Career Development Award. She currently serves on several committees at the School of Dentistry, American Academy of Oral and Maxillofacial Pathology, American Dental Association and American Association for Dental Research. Dr. Danciu diagnoses and manages clinical oral pathology (oral medicine) patients as part of the Dental Faculty Associates at the School of Dentistry. Dr. Kyriaki (Kiki) Marti obtained her DMD and PhD Degrees from the “Aristotle “ University of Thessaloniki School of Dentistry and her MD Degree from the “Kapodistrian” University Medical School, Athens, Greece. 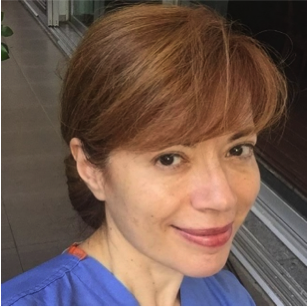 She has completed a residency program in Oral and Maxillofacial Surgery at the “Kapodistrian” University School of Dentistry and is Board Certified by the European Board of Oral and Maxillofacial Surgery. Dr. Marti served at the University of Athens, School of Dentistry as Assistant Professor with tenure and as Visiting Professor, Department of Oral and Maxillofacial Surgery, School of Dentistry, Medical College of Virginia, Virginia Commonwealth University. She completed a Masters in Health Professions Education (MHPE) from the University of Michigan Medical School. She is presently a Clinical Assistant Professor in the Departments of Oral and Maxillofacial Surgery, Periodontics and Oral Medicine and Cariology, Restorative Sciences and Endodontics at the School of Dentistry, University of Michigan. She is also Faculty in the MHPE program, Department of Learning Health Sciences, University of Michigan Medical School. She is certified as a Health Simulation Educator (CHSE) since 2018. Dr. Marti is an active member of many national and international Professional Associations, and serves as the Chair of the ADEA Section on Clinical Simulation (March 2018-March 2019). She is currently Course Director for the Diagnostic Sciences I (Dental students) and the Dental Practice Emergencies (Dental Hygiene students), lectures in multiple courses and teaches simulation-based sessions at the School of Dentistry. She is actively involved in Health Professions Education research and mentors predoctoral and postgraduate students in her field of expertise. The University of Michigan School of Dentistry designates this activity for 8 hours of continuing dental education credits. Credit letters are available at the conclusion of the course. The University of Michigan is an ADA CERP recognized provider. ADA CERP is a service of the American Dental Association to assist dental professional in identifying quality providers of continuing dental education. ADA CERP does not approve or endorse individual courses or instructors, nor does it imply acceptance of credit hours by boards of dentistry. Refund Policy: A full refund will be granted if cancellation is received four weeks prior to the start of the course. The most economical option is to take a shuttle. Another alternative (a bit more expensive) is to take the Metrocar Services. The driver will wait for you at the baggage claim, pick up your bags, and bring you to Ann Arbor (they generally take up to 3 people). Donald Kerr Symposium | ©2019 | The Regents of the University of Michigan. A Non-discriminatory, Affirmative Action Employer. Regents of the University of Michigan: Michael J. Behm, Mark J. Bernstein, Laurence B. Deitch, Shauna Ryder Diggs, Denise Ilitch, Andrea Fischer Newman, Andrew C. Richner, Katherine E. White, Mark S. Schlissel, ex officio.